Switzerland 1975. 16mm commag., colour, 55 min. 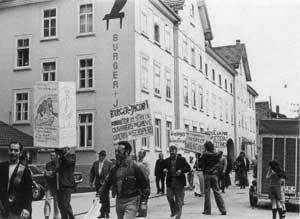 In June 1974, the employees of the piano factory Burger and Jacobi in Biel went on strike, because the company did not accept to pay the 13th month's salary agreed with the Cabinet-Makers Association. 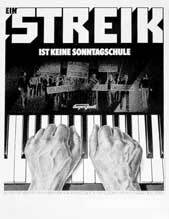 The film depicts the course of the strike and the experiences of the strikers. It does not attempt to display the authors's interpretations of this labour dispute but to so convey the dispute presented by the workers themselves – that it can become a subject within political discussions and reflections.